The winner of the 2014 Walk To End Alzheimer’s® Car Raffle…. 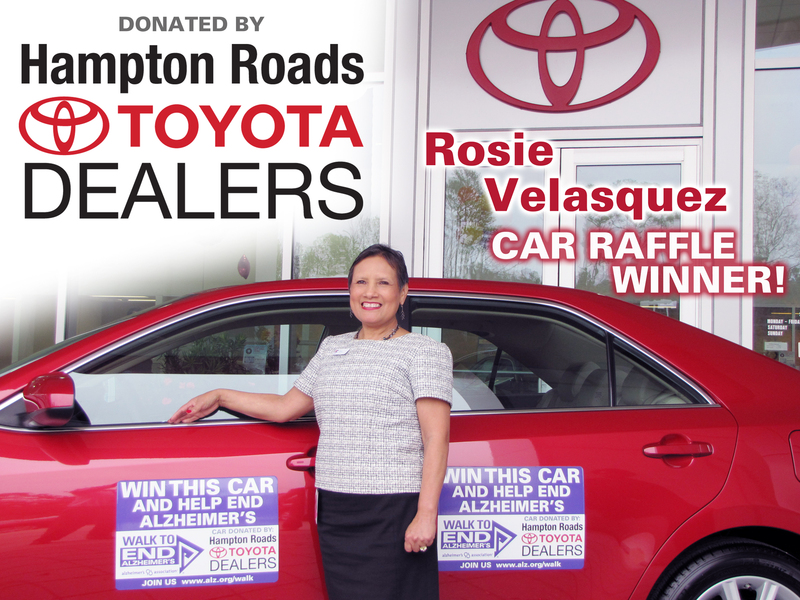 The winner of the 2014 Walk To End Alzheimer’s® Car Raffle is Rosie Velasquez from Newport News! Congratulations to Rosie for winning a 2014 Camry XLE Sedan donated by Hampton Roads Toyota Dealers.Special thanks to all of our raffle participants – 15,000 tickets were sold! Each step you take helps to fight Alzheimer’s disease.